Do you feel undervalued in your current job? 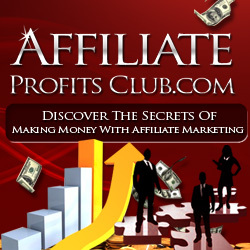 Problems in the workplace drive many talented people to try their hand at affiliate marketing. Unfortunately, many of them are quickly sidetracked and take short term online jobs that amount to digital busywork in order to make ends meet. It’s important to scale up as soon as possible, but it’s impossible to do so without certain essential elements of success. There are countless books and programs that teach new affiliate marketers how to make money online, but most of them hinge on the central elements. It’ll be hard for you to start making money until you understand these elements and take them to heart. There are plenty of work from home jobs online. But many of them are in so much demand that drives the price down. You’re in competition against every dissatisfied employee in America with an Internet connection – not to mention countless people in the Third World that can get by with a lower wage. Jobs like transcription, content mills, and surveys can be tempting, but over the long haul affiliate marketing is a lot more profitable. And even though it takes an investment of time, the wait for profit isn’t as long as you might think. One of the best things about affiliate marketing is that you aren’t responsible for delivering the products or giving support to customers after you’ve made the sale. You also don’t have to convince people of the viability of most products. There are plenty of physical products that people already familiar with and are looking for online. That’s why it’s so important to your research on products and potential commissions before choosing an affiliate program. Sites that are well written and provide real value make more sales and get more love from search engines. This doesn’t mean that your website needs to win a Pulitzer Prize. It just means that you need to honestly share your thoughts about a product and convey enthusiasm as if you’re talking to a friend. If you can’t imagine convincing a friend to buy a product (assuming you researched it), you may want to promote something else. Even the best converting content isn’t useful without flood of hungry, targeted buyers. Most new affiliate websites are doomed because of lack of traffic. But tools like Market Samurai and Traffic Travis can point you towards targeted visitors. From there, it’s up to you to make consistent effort to promote your website. Odds are that one affiliate website won’t be enough to give you the kind of stable income you can retire from. But your first affiliate success makes the ones that come after that much easier. Remember to reinvest your profits from your first affiliate website into fresh content and paid promotion. Your ultimate goal is to have more and more affiliate websites that you create without constantly working on them! Remember that you can’t be your own boss without a business!